20 Skilled Nursing Facility with annual revenues exceeding $175 million CEO "Limitless has saved ECC and its client nursing homes over $300,000 per year. 20 Skilled Nursing Facility with annual revenues exceeding $175 million CEO “Limitless has saved ECC and its client nursing homes over $300,000 per year. 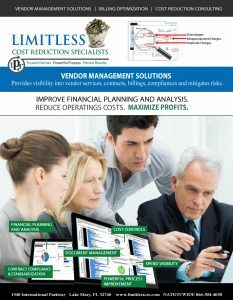 Extended Care Consulting, LLC, which provides consulting services to over 20 skilled nursing facilities with annual revenues exceeding $175 million, has been extremely pleased to work with Limitless Technology, LLC in a successful effort to audit and reduce our telecommunication costs. Extended Care has grown significantly over time, and we intuitively knew there had to be redundancies and over charges in our telecommunication services. However, we did not have the internal resources or knowledge to effectively follow up on that insight. Enter Limitless Technology. By the end of their approximately 4 month audit, Limitless has saved ECC and its client nursing homes over $300,000 per year in various telecommunication categories, including local phone, wireless phone, TV/cable and conferencing services. On a percentage basis, that is in excess of 30% of our baseline charges pre-audit. 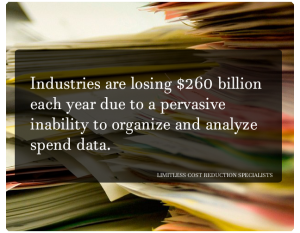 In terms of the audit itself, Limitless made an inherently complicated process as simple as possible. They interacted seamlessly with our various staff members, and were understanding and helpful when we were having difficulty pulling the required information together. In addition, any proposed changes were explained and discussed in detail before implemented. Extended Care Consulting, LLC would highly recommend Limitless to any organization, especially one with multiple locations/users, that desires to analyze their current telecommunication infrastructure and determine if significant savings are possible. If you would like to speak with me in more detail regarding my experience with Limitless, please do not hesitate to call at 847-905-4022.